When it comes to transforming the customer experience, the operators that earned this year's Tech Accelerator Awards show that innovation can take many different forms—be it using data to eliminate long lines, arming servers with tech tools to speed up tickets or outfitting spaces with cutting-edge equipment designed to foster community. Cava aims to measure whatever it can to improve operations. The Mediterranean chain collects and analyzes data, including tracking customer lines, orders and dining room seating, which has led to less congestion and faster ordering, clearer menu boards and new table configurations. The kitchen is monitored for how long coolers are open, how fast things are cooking, and even how loud the ordering area is. 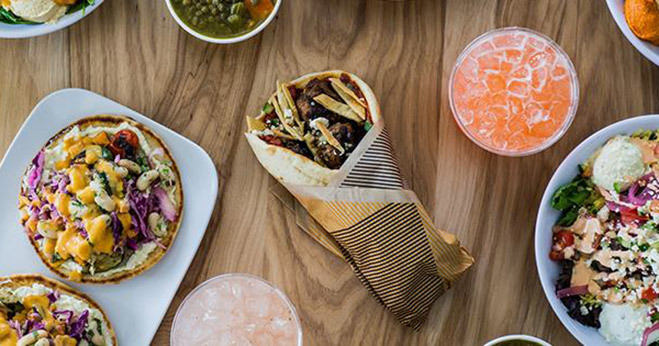 The desire for data was part of the reason Cava created its own mobile-ordering platform; another reason was to replicate the in-store dining experience via a build-your-own platform with multiple choices. BJ’s Restaurants was a mobile app and digital-ordering innovator, and has been partnering with third-party delivery vendors. More recently, it’s given servers handheld tablets for ordering to speed up tickets and let people pay at the tables in the front of house. Back of house, it rolled out a slow-cooking platform that rejiggered the menu. 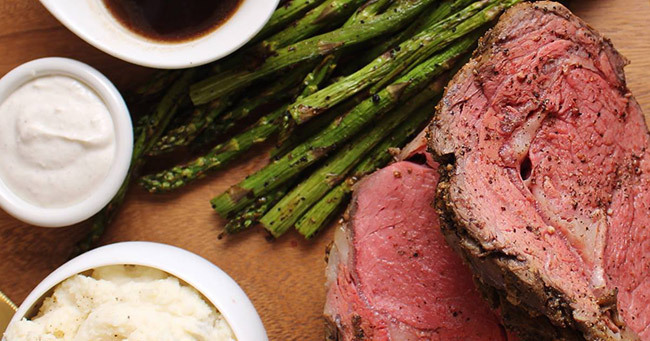 And last fall, BJ’s relaunched its website—where guests can order for takeout or dine-in—to emphasize the users’ local store and the daypart. In the company’s fourth-quarter report, executives said it’s using tech to do more marketing of discounts based on guest preferences and history, an effort to enhance the loyalty program and use the data to learn more. 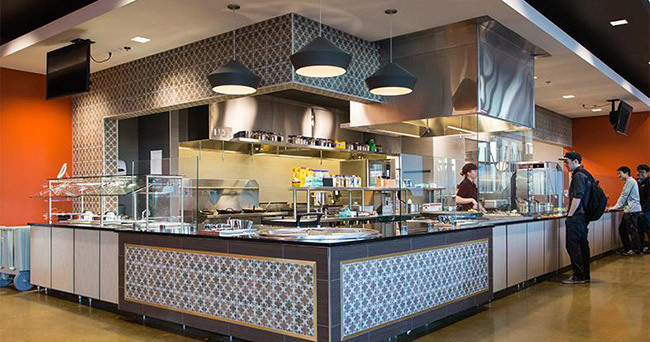 CU Boulder introduced a broad range of innovations into its Village Center Dining and Community Commons with the goal of creating an eco-friendly, community-focused gathering space for students. Floor-to-ceiling electrochromatic windows darken in response to sunlight, eliminating the need for blinds. During the day, they let in enough natural light to illuminate the front of house, while showcasing the view of the nearby Flatiron Mountains. Foodwise, stations let diners in on the action: At the all-day breakfast area, for instance, students can pedal stationary blender bikes to mix their own smoothies. A demo kitchen outfitted with induction burners and several video monitors is home to cooking classes for students led by local chefs. Energy efficiency also is the focus back of house, where the university installed a biodigester to handle food waste, the output of which can be repurposed for the city’s water filtration system. The design also includes closed-loop refrigerators, heat-sensitive variable-speed fans and walk-in coolers that are cooled remotely from a compressor room. Who will be the Tech Accelerator of the Year? The Tech Accelerator Awards will be handed out to the winners on Sept. 18 at FSTEC, the industry’s top tech conference, put on by Restaurant Business’ parent company, Winsight. During that session, which will also include a Q&A with tech leaders from the winning operations, RB will reveal the Tech Accelerator of the Year—a best-in-class distinction selected from among the three category winners. Past winners have included Panera Bread and Bay Area automat concept Eatsa. Find out who took the top honor and follow the latest updates from the conference at RestaurantBusinessOnline.com or on Twitter at RB_magazine.